Christians throughout the centuries have loved Paul's letter to the Philippians for its call to rejoice in the gospel of Jesus Christ regardless of life's circumstances. But our familiarity with the letter can cause us to neglect or overlook Paul's message to the Philippians. Dr. Matthew Harmon in this uplifting and inspiring work brings context and application to this wonderful book. 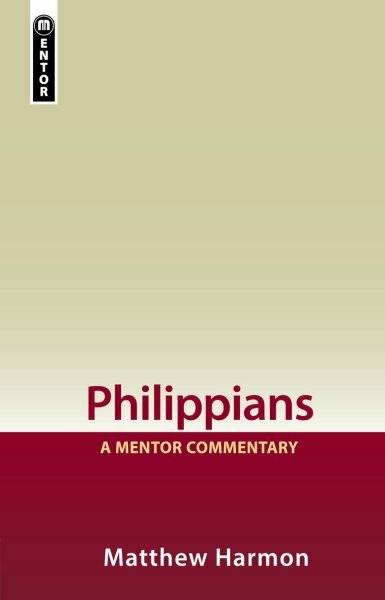 Matthew Harmon's excellent commentary on Philippians secured The Gospel Coalition Book of the Year 2015 (Bible and Theology Category). Dr. Matthew Harmon serves as Professor of New Testament Studies at Grace College and Theological Seminary in Winona Lake, Indiana. He also serves on the preaching team of Christ's Covenant Church.